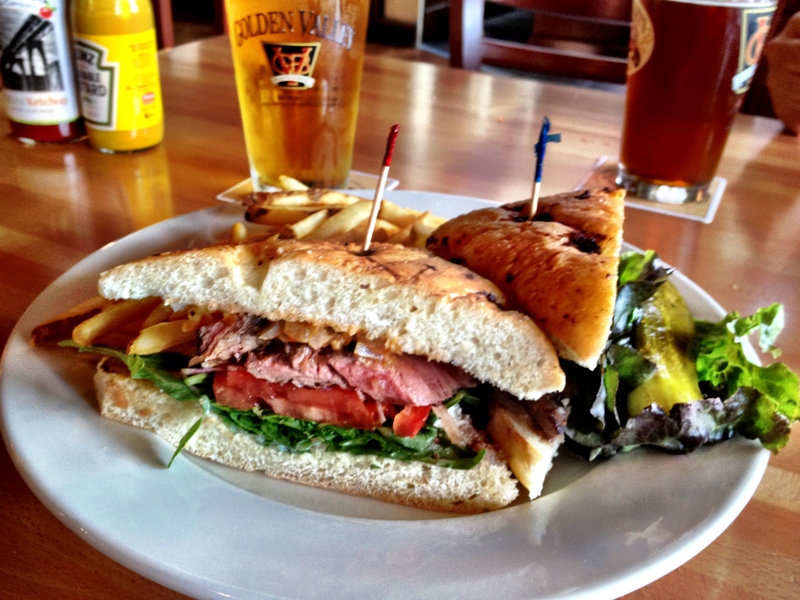 Saturday Afternoon at the Golden Valley Brewery | What's To Eat Today? 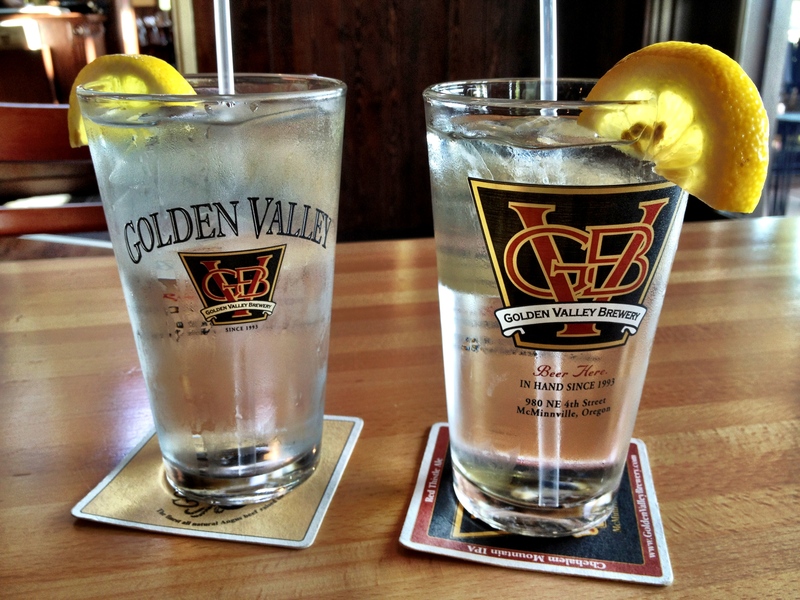 Lunch today was enjoyed over at place that feels like visiting an old friend — the Golden Valley Brewery in Beaverton. One of these days we’ll have to try their main restaurant in McMinnville. We ordered our usual favorite brews, the Beaverton Blonde for me and the Red Thistle for the Mister. I usually take a photo of the pints but today I found the water glasses oddly pretty and refreshing looking. 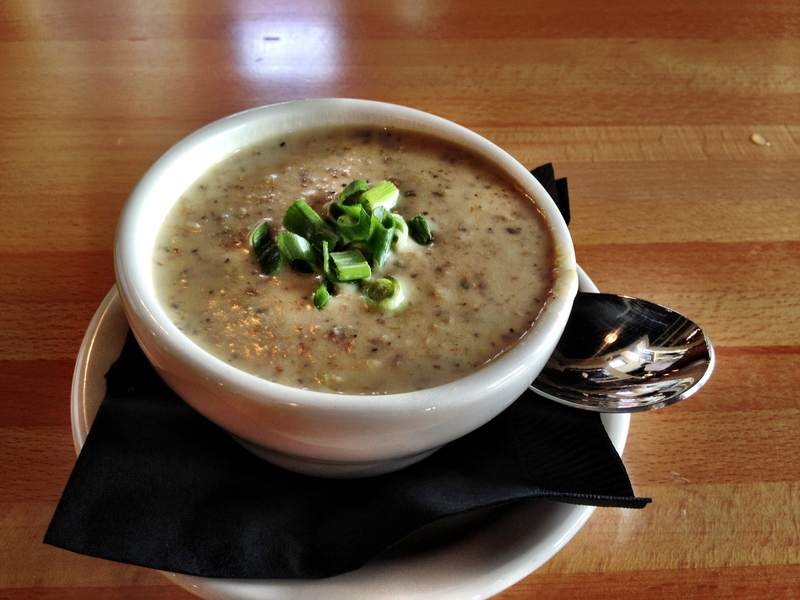 The Mister ordered the cup of the soup of the day which was a creamy pepper, bacon and mushroom combination. The Mister also ordered the G.V. 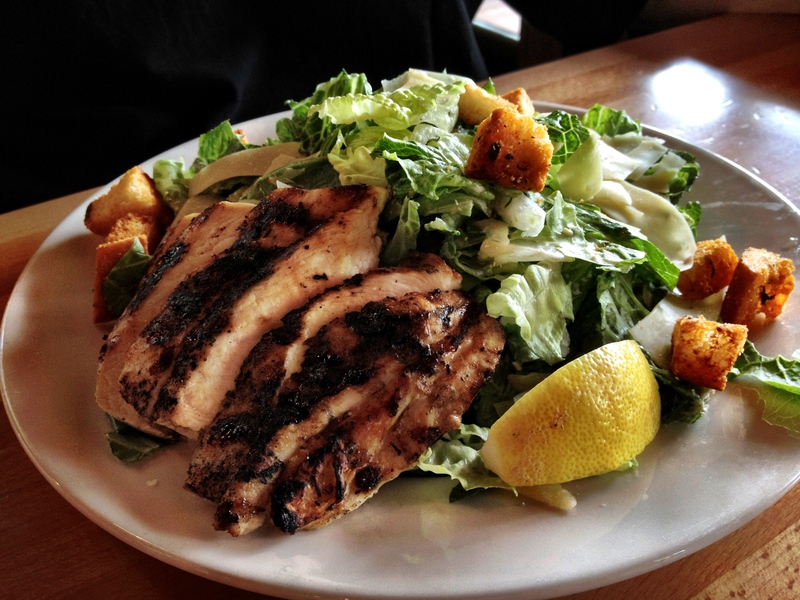 Caesar Salad – crisp romaine lettuce tossed with creamy caesar dressing, parmesan cheese, house-made herb croutons. He added the grilled chicken to it. He found it to be quite good but needed a bit more dressing. I ordered the Sirloin Steak Sandwich.It’s marinated Natural Angus Springs Ranch sirloin steak with red onion marmalade, tomato, peppadews, organic arugula and honey sauce on a toasted focaccia. GV has some of the tastiest beef around and it was quite satisfying. I ordered it medium rare and it arrived just the way I like it. My french fries arrived to the table cold but our phenomenal waiter (Greg) immediately brought out a piping hot and freshly-made batch for me. They were perfect. I give Greg a two-thumbs up for his outstanding service; he was perfectly attentive but not overly so.